The industry's only compact 360-degree airflow cassette combines uniform air distribution with a low profile and low space requirements in a design that fits directly into a lay-in ceiling grid. Auto swing louvers adjust the air direction based on the operation mode. 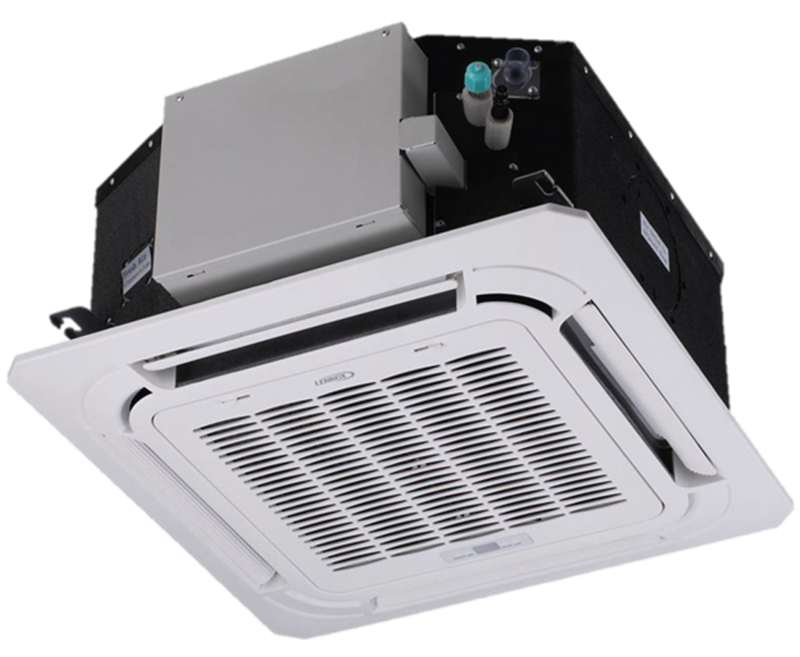 360° Air Outlet—Provides uniform temperature distribution. Compact Casing—Fits directly into a lay-in ceiling grid, while reducing installation space requirements above the ceiling.